First time buying – what kind of home do you need? 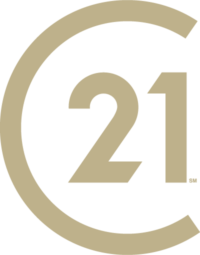 – Century 21 Lakeside Realty Ltd.
FIRST TIME BUYING- WHAT KIND OF HOME DO YOU NEED? To keep mortgage payments within their means, most first-time buyers purchase what is commonly called a “starter home”. It is just what it says – a way of getting started in long-term real estate investment. To match the home you buy to your pocketbook you have to realistically assess your needs, determine what you can afford and – usually – lower your expectations. Begin by deciding on a general area where you wish to live, you will probably find that there are a good number of options when it comes to the age and type of home you might purchase. New Homes are a good bet because of their extensive warranties and pristine condition. On the other hand, you usually won’t have mature landscaping – that is something you will have to plan and work at over a long period of time. Resale Homes offer a great combination of afford-ability and character. Many will include improvements such as finished basements, decks, patios and mature landscaping. They may also come with some repairs and upgrading in the near future. Townhouse & Condominiums are obviously suited to particular lifestyles or budgets. Maintenance is usually taken care of by management and cost can be low. This type of dwelling usually means sharing common areas such as parking, hallways and grounds. Rural Properties offer the ambience that many of us crave; wooded areas, friendly community and safe streets. These pluses must be weighed against more limited services and additional commuting time.